In the mid 1960’s a talented group of engineers in West Bromwich, England, dared to ask the question ‘why can’t a muscle car spin all four wheels?’ The end result was the Jensen FF, the first production vehicle to feature AWD, and a coupe that just happened to be hiding a 383 cubic inch Chrysler V8 under the hood. 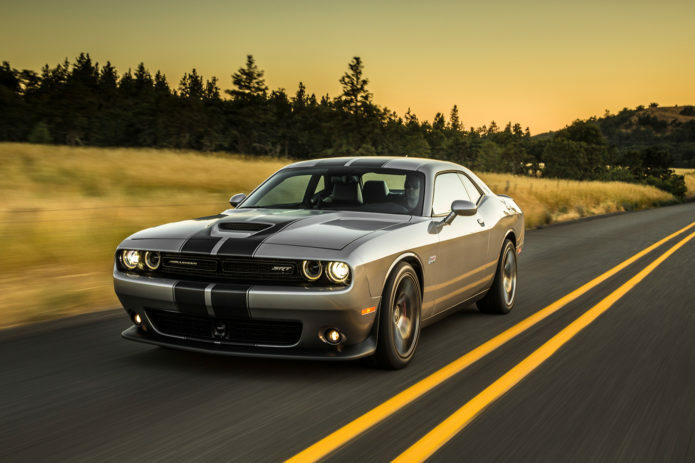 Flash forward 50 years and the Pentastar has picked up the torch once again in the form of the 2017 Dodge Challenger GT AWD, which throws down nearly the same gauntlet at the rear-wheel drive-only options from Ford (the Mustang) and Chevrolet (the Camaro). In many ways the Challenger GT is a no-brainer. Dodge’s retro-themed coupe shares its LX platform with the four-door Dodge Charger sedan, which has long offered an all-wheel drive option. Porting the system to its equally-hefty two-door sibling presented no significant technical hurdles for FCA’s design team to overcome, other than updating the vehicle’s suspension to deal with the extra 200 lbs or so of weight brought on by the transfer case et al.